AUSTRALIAN sheep producers could be using new maternal pedigree technology on a commercial scale as early as March next year. Livestock producers will soon have access to technology to automate the collection of maternal pedigree data as a result of a collaboration between MLA Donor Company and agricultural technology company SmartShepherd. SmartShepherd has developed a lightweight, re-usable smart tag to gather and transmit relationship data to enable more efficient, accurate identification of mothers and their offspring in sheep, cattle and goat operations. The technology works without GPS or internet connectivity and utilises low cost Bluetooth technology and an Internet of Things (IoT) architecture. It is designed around existing animal husbandry techniques, to substantially decrease the barrier of entry to full pedigree recording and reduce inbreeding. MDC has supported the development of the SmartShepherd system through its new innovation and entrepreneurship platform I+E Connect, enabling the technology to be successfully trialled on-farm in sheep flocks and further refined. Field trials in the cattle industry are about to get underway. SmartShepherd co-founder and chief executive officer, David Rubie, said the technology was designed to give producers an easier way to improve the maternal side of their livestock genetics. “In any sheep enterprise, the real drivers of profit are breeding ewes – their performance with respect to fertility and mothering ability will always dictate how successful you are,” Mr Rubie said. 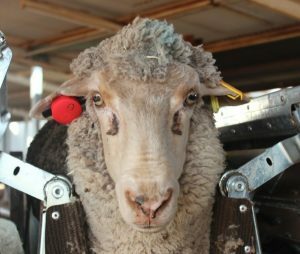 “Field trials of the SmartShepherd system in Australia achieved 96 percent pedigree accuracy within 48 hours of the tags being placed on the ewes and lambs. “The smart tags can be re-used meaning the cost of determining pedigree will be a fraction of the cost of genomics,” he said. 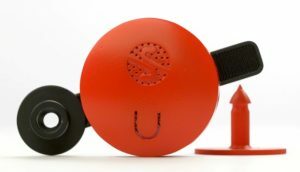 Mr Rubie said pre-orders for the SmartShepherd system would be available later this month. “Our intention is to get sheep producers ready for the 2018 season so they can be using the tags as early as March,” Mr Rubie said. A ewe with a SmartShepherd ear tag. Owner and principal of Richmond Merino Stud, Trevor Ryan, Quandialla, NSW, trialled the SmartShepherd system on a flock of stud ewes with 62 lambs at foot. “We received an accurate dam match for 61 of them in less than two days which exceeded my expectations,” Mr Ryan said. MDC CEO Dr Christine Pitt said the SmartShepherd project is one example of how MDC, through I+E Connect, is attracting and supporting exciting start-ups and disruptive ideas to the Australian red meat industry. “MDC’s I+E Connect provides start-ups and entrepreneurs with direct support and co-investment,” Dr Pitt said. “I+E Connect is an innovation and entrepreneurship connection platform that provides a unique ‘landing pad’ in Australia for local and global AgTech and FoodTech entrepreneurs, start-ups and investors who want to work with the Australian red meat industry. “It will help prepare the Australian red meat industry for the future in many ways. It not only attracts and supports entrepreneurs, start-ups and scale-ups to develop and commercialise new and disruptive ideas, but articulates industry pain points and identifies investable opportunities.